So, to keep positive I’m thinking of all the fun things I can do in the summer!! Coogee, Sydney, NSW, Australia – omg it was about 24° when we were there… in April!! Next Post I Have Instagram!! That photo looks absolutely amazing! And OMG CONGRATS FOR 140 followers! Just noticed that the wordpress website has changed it tells you how many followers you have! You are just succeeding amazingly! So proud of you! Love the beaches 🌊 too..
and it’s summer in Australia 🇦🇺 now.. I love the beach as well. So pretty especially with the sunset/sunrise. Good luck with finals! Finish strong!!! 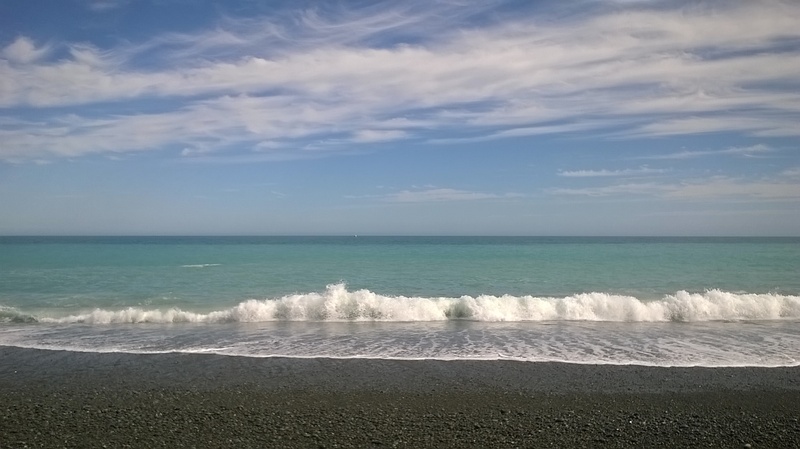 I can only imagine (or google) what the beaches in New Zealand must be like…AMAZING!? The best beaches I’ve been to were definitely out in Hawaii, it’s literally paradise out there. Aside from Hawaii, beaches down south (florida) and over on the west coast (SoCal). I love them too, something about beaches are so calming and soothing and nothing beats soaking up the sun! Good luck on all your exams, you’re almost there!!! The most beautiful white sandy beaches I have seen are in Okinawa and the Philippines. I don’t know where I would consider my favourite beach to be though.